Indian Rummy, one of the most popular card games in the country, is played by millions of players every day. Gone are the days when you needed your friends or family to be with you to enjoy a game of Indian Rummy. Today you can just download the Indian Ramee game for free and get a complete rummy experience even when you play it on your mobile. Moreover, there are multiple variants to choose from, including Pool Rummy, Points Rummy and tournaments, on the Junglee Rummy app. Now enjoy your favorite game any time, anywhere! There are four simple ways to download the Indian Ramee game on your device from Junglee Rummy, India’s most trusted rummy site. Use any one of the four ways to install the app, which is available for free download, and get the best 13-card rummy experience on your mobile! 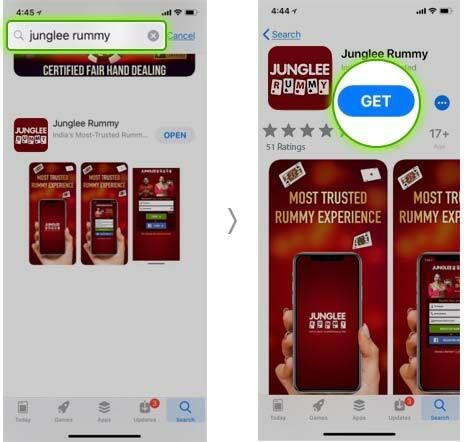 You can download the Junglee Rummy Android app in four different ways: by the direct download method, by giving a missed call, using the download link you get in an sms and using the QR code. The app is available for absolutely free download and all you need to do to experience thrilling 13 card rummy like never before is install the app by India’s most trusted Rummy site, Junglee Rummy. Points Rummy: Download the Indian Rummy online game for free and battle it out in the thrilling format of Points Rummy. Points Rummy is really fun to play on your mobile or tablet. Download the rummy game on your mobile and enjoy the excitement of winning cash in a dash. Pool Rummy: Engage in some hot rummy action in 101 and 201 Pool Rummy games! The Junglee Rummy mobile game offers you the best way to play Pool Rummy games on your mobile and tablet. Download the card game and have a smashing time at our Pool Rummy tables wherever you may be! Tournaments: Win big every hour in our exciting freerolls and cash tournaments! You can register for the tournaments on your mobile rummy app and play tournaments anytime you wish! Don’t miss any of the fun: join our tournaments without any hassle and have fun winning big! Check out the 4 easy methods below to get the game downloaded on your Android device. Select any one method to download the App. 1. Direct Download: Click on the "Download Now" button in the header image on your Android device to download the JungleeRummy.apk file. 2. Download via SMS: Enter your mobile number in the dedicated slot and we will send you a link to download the Junglee Rummy App immediately. 3. 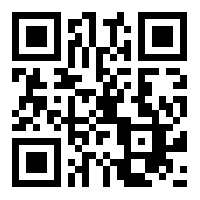 Download via QR Code: Just scan the QR code given on the site page and download the JungleeRummy.apk file. 4. Download via Missed Call: Give us a Missed Call and we’ll send you a link to download the JungleeRummy.apk file. 1. Download from the App Store: Visit the App store and click on ‘Get’ to install the app directly on your iPhone or iPads. 2. Download via SMS: Enter your mobile number on the top banner and we will send you the link to download the Junglee Rummy App. 3. Download via QR Code: Just scan the QR code given on the site and you’ll be directed to the App Store. You can get the Junglee Rummy App from there. 4. Download via Missed Call: Give us a Missed Call and we’ll send you the link to the App Store from where you can download the Junglee Rummy App. Free and Cash Rummy Games: The Junglee Rummy app has been designed to give you the complete experience, regardless of whether you decide to play the free or the cash versions of the game. That too, on the go. We are a tad different, unlike others; we do not limit you to free games which only let you play using practice chips. We, on the other hand, allow you to play cash games from within the app itself. Download the app now and switch between free and cash rummy games for real prizes in an instant! Multiple Payment Options: At Junglee Rummy, we offer multiple payment options, allowing you to win cash on the go. The app lets you deposit money with multiple payment options and play cash games from within the app. Get the free rummy game download file now and start winning cash on the go! Easy and Seamless Navigation: Our new and improved user interface is designed to give you a game experience which has never been witnessed before. Playing a game of 13 cards rummy on your mobile has never been this easy! Experience the best of both world's with the Junglee Rummy app and witness a brand new way of playing 13 cards rummy on your mobile and experience the game like never before! Best Bonuses and Promotions: The app is designed to give you the complete desktop experience, or even better than that. You won't feel any difference. We spent the time to calibrate and design the app from the ground up to ensure that players feel at home whenever they leave the comfort of their desktops for the mobile app. All of your favorite games, bonuses and cashbacks are available right within the app, along with exclusive bonus offers which are available to our mobile app users when making a deposit using the app. Moreover, you can unlock additional bonuses and cashback when you use the app. Now play rummy whenever or wherever you may be! All variants of rummy, including the 13 card rummy game, work on all Android smartphones, tablets, iPhones and iPads. Android devices need to have the following configurations for the free download and installation of the app. Make sure that your mobile device meets the minimum requirements for getting the perfect free rummy game download. All iPhones and iPads running version 8.0 and above are supported. If you are facing any issue while getting the rummy games free download on your mobile, you can send us a mail at [email protected] and mention the Android/iOS device you possess. Our customer care team will write back to you and give you more detailed steps on how to install the rummy game on your mobile device. Or you can also call us at 011-66481234 from 10:30 AM to 7:00 PM during weekdays and our customer care representative will assist you and provide step-by-step guidance on how to download the rummy game correctly.